Hello lovelies, If you read yesterdays post you will have seen that that was my last lipstick post and swatch and today I have for you my lipstick collection with my lip glosses and some lip balms just thrown in for good measure. 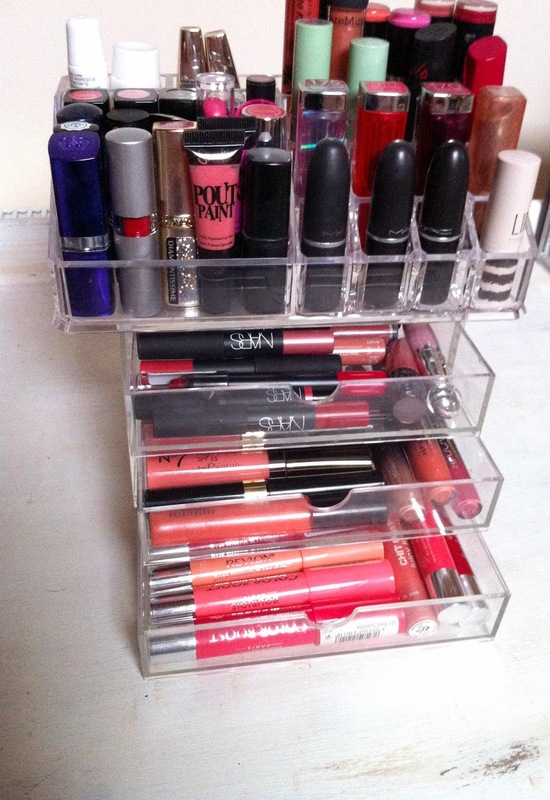 So to start with the storage, My storage drawers are from Muji and my lipstick case is from Ebay! 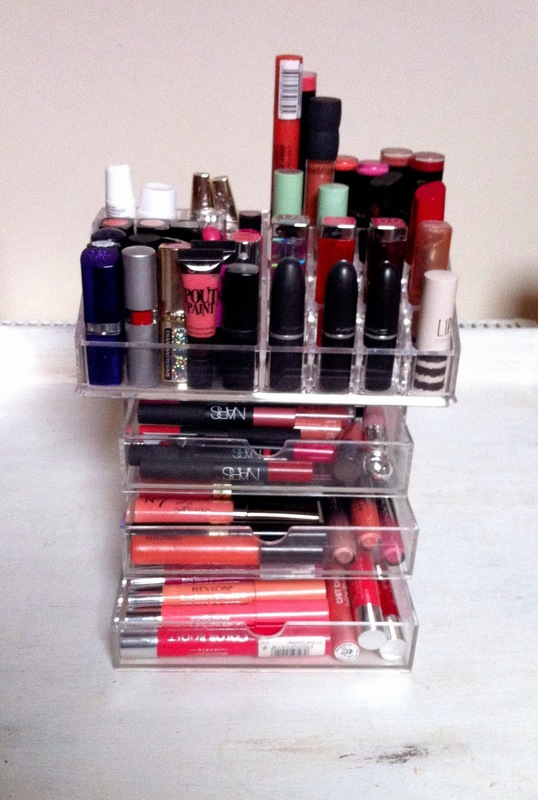 At the top I store my lipsticks and in the draws I have lip glosses, lip crayons, lip stains and lip lacquers. 17, Glossybox, Rimmel, Elf, Sleek, L'Oreal, Maybelline, Collection, Gosh, Revlon and Max Factor. These are all my drugstore lipsticks and I adore them all. The sleek pout paints are super pigmented and last hours. 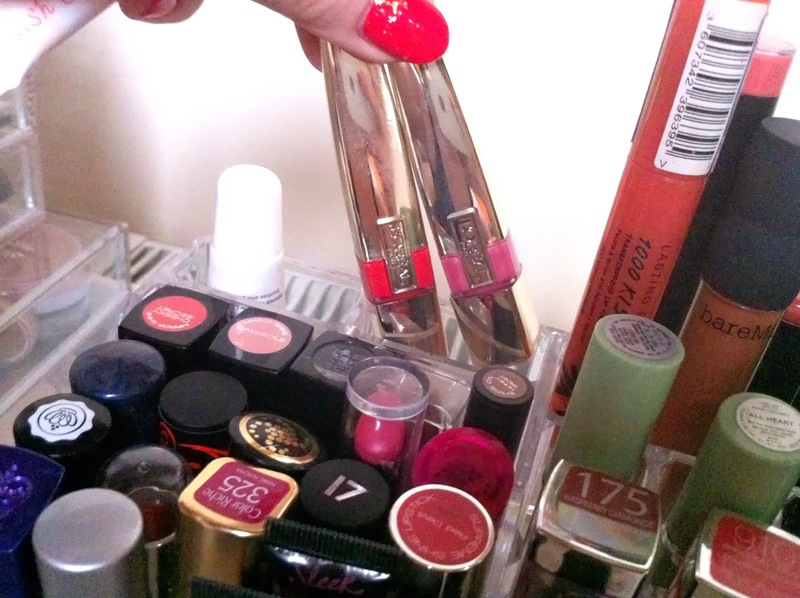 Rimmel are a fantastic brand for affordable lipsticks in all sorts of finishes and shades. 17 do some lovely lipsticks from super pigmented to super sheer they do affordable lipsticks for everyone's individual style. 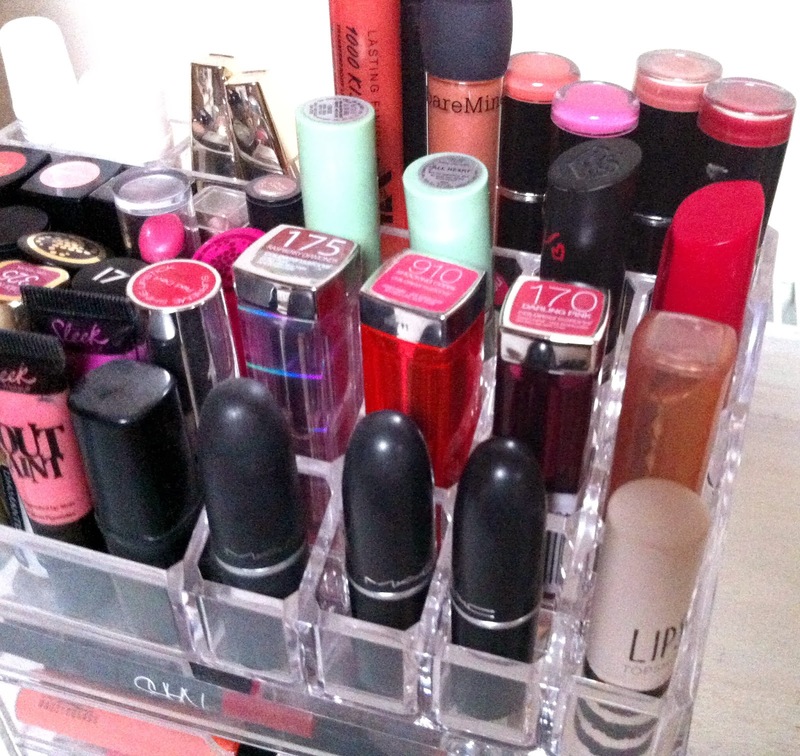 There all great up there apart from the 17 mirror shine lipsticks they are just to sheer for me but some people like sheer its just personal preferences. This is just a close up of the L'Oreal Glam shine stain splash's these are very nice. They feel and look luxurious to me, they go on like water then dry like a lipstick, I really need some more of these. Then to the right I have my more expensive lipsticks, I don't have very many as there are so many good drugstore lipsticks out there and I can't justify over £15 for a lipstick that isn't going to last very long on my lips? Although I would love to try some more higher end lipsticks such as YSL, Chanel, Tom Ford and Burberry. But here I have Mac, Clinique, Topshop, Maybelline, Yves Rocher, Rimmel, Revlon then I do have some MUA at the back. Mua do some amazing lipsticks for just ONE POUND. Ridiculous they smell sweet and the pigmentation is great. Also a Bare minerals lip gloss as it didn't fit in my lip gloss drawer. I do love my Mac lippys, who doesn't love a good Mac lipstick? There just so nice and soft on your lips, glossy and sleek packaging. I love my Revlon lip butter and need to pull my finger out and get some more shades! There are so many gorgeous shades available and they feel so hydrating on your lips. Maybelline Colour sensational wow, these are just mega pigmented and stain your lips up to hours on end, you must check these out lovelies! Especially that 910 one its just gorgeous. At the bottom I have my chunky lip crayons, I adore my chunky lip crayons, they feel hydrating, glossy, pigmented and such pretty colours. I have So Susan, Chit Chat, Jelly Pong, Borjouis, Revlon, Catrice and MUA. My favorite of them all are my Borjouis ones they just feel like soft butter on your lips and the colour pay of is great. 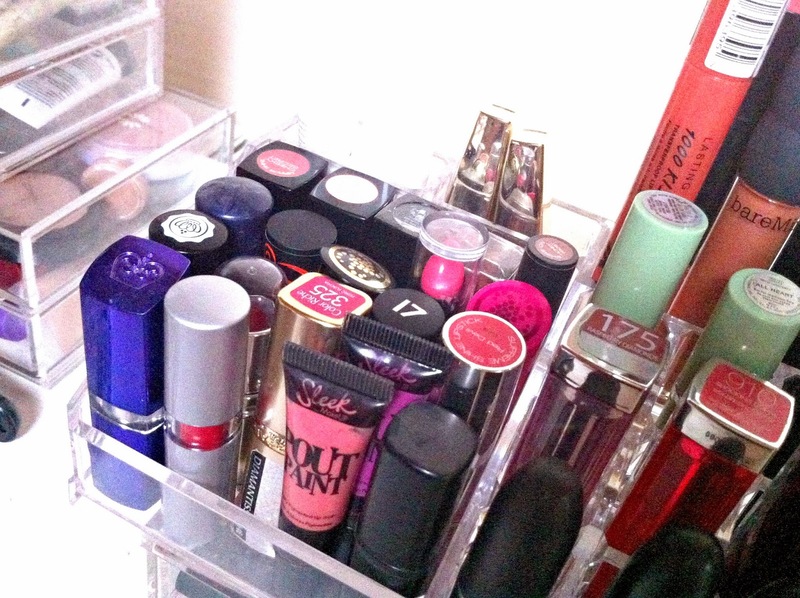 In the middle drawer I have lip glosses and lip lacquers. I have Mac, No7, Rimmel, Max Factor, Soap&Glory and Mally. My favorite from all these are my Rimmel Apocolips they are very pigmented and last for hours and come in great shades that I need to expand. Then the top drawer I have my little lip crayons and some more lip glosses. I have Nars, Urban Decay, Bellapierre, Elf, Barry M, Benefit, Gosh, Max Factor and MUA. If you don't know this already Nars - Cruella is my absolute favorite lip crayon it lasts hours, super gorgeous red and stains your lips, it is a little drying as most matte pencils are but if you hydrate your lips with a lip balm you will be fine. Also love the Max factor one very similar to the Nars pencils but not matte and very glossy and pigmented also a lot cheaper. Then lastly I thought I would just show you some of my lip balms, I say some as some are in handbags, at work, floating around the house and probably left on a bus or something. Eve, Nivia, Bodyshop, Read the label, Malibu, Lacura and Beauty fixation. 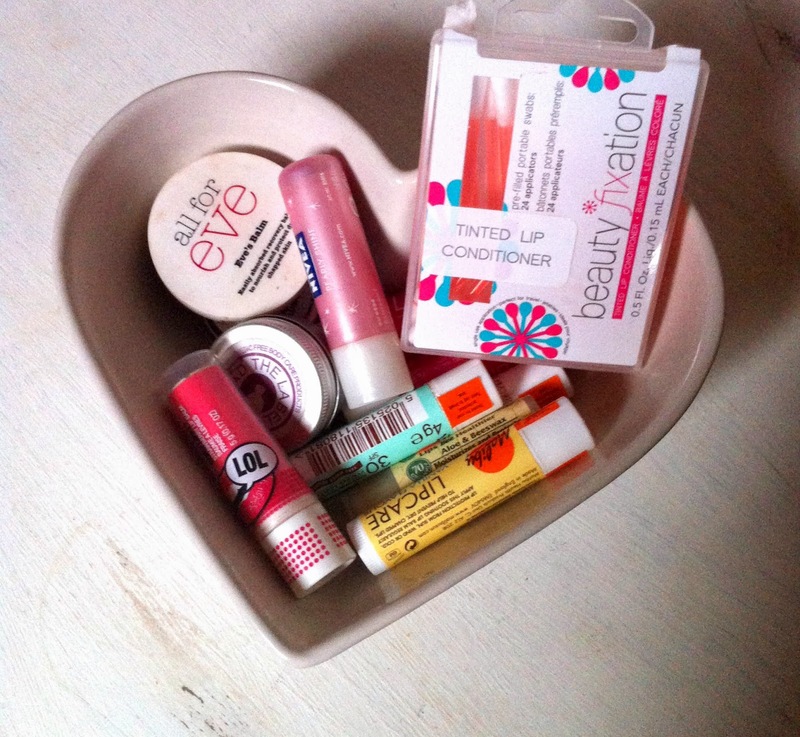 There all great lip balms and do the job! I have the Maybeline Baby Lips floating around somewhere there nice aswell as the Bodyshop ones for a touch of colour with your hydration. 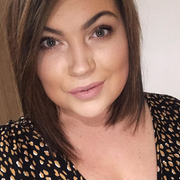 I love looking at peoples make up collections and storages so if you have a lipstick one please share in the comments below would love a peek! Wow! You've got some great lipsticks!